The Simmba movie trailer was launched by actors Ranveer Singh and Sara Ali Khan, accompanied by producer Karan Johar and director Rohit Shetty. Stay tuned for all the live updates you have been waiting for. Stars Ranveer Singh and Sara Ali Khan unveiled the first trailer for their upcoming action film, Simmba, which took place in Mumbai on Monday. The event had the film’s director, Rohit Shetty, producer Karan Johar and the COO of Reliance Entertainment, Shibashish Sarkar, in presence. Aside from a few social media pictures and videos, not much has been revealed about Simmba, due for release on December 28. Having worked only in a commercial with Rohit Shetty, as claimed in the past by Ranveer Singh himself, it has been his dream to star as a ‘hero’ in a Rohit Shetty film. Starting out as a local hoodlum in the beginning of the trailer, we see his transformation into a more responsible character as the trailer progresses. The woman he treats as his sister is killed and Bhalerao takes it upon himself to bring down the rapists who murdered her. Ranveer Singh shared the trailer of Simmba. The official bio of the film goes as such : Simmba is an orphan from Shivgadh from where our beloved Singham hails. Contrary to the philosophies of Singham, Simmba believes that a Corrupt Officer’s life is an ideal life and he aspires to become one. While Simmba enjoys all the perks of being an immoral and unethical Police Officer, a twist in the tale transforms him and forces him to choose the righteous path. Twitter users started sharing screenshots of Ajay Devgn, who has a cameo in the movie, as Singham in Ranveer’s Simmba. The actor who earlier shared a photo of billboards of her two upcoming films, Simmba and Kedarnath, in Mumbai, joined Ranveer Singh for the trailer launch of Simmba. Sara Ali Khan at Simmba trailer launch. Ranveer Singh arrives for the trailer launch of Simmba and meets the media for a quick photo op before commencing the event. Ranveer Singh at Simmba trailer launch event. Minutes ahead of its trailer launch in Mumbai, Dharma Productions and Reliance Entertainment shared new posters of Simmba on Monday. Take a look at them. 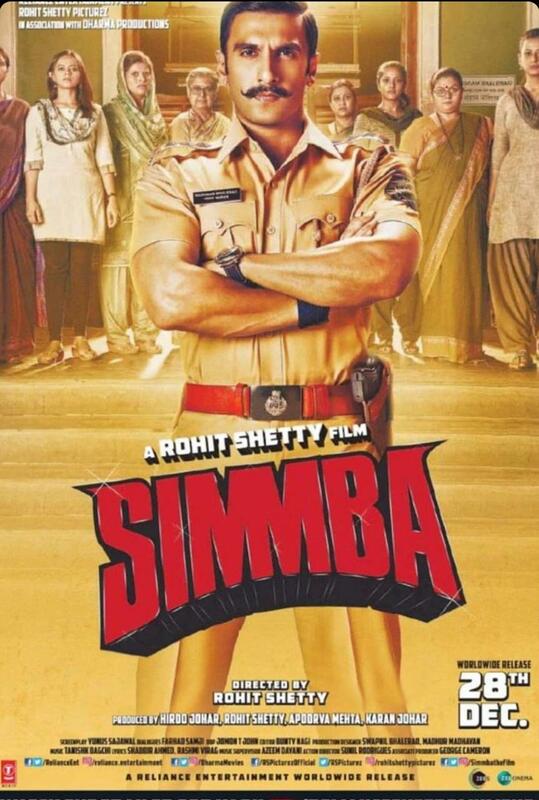 Simmba, which is a remake of 2015 Telugu hit, Temper, has been billed as a masala entertainer, in the same vein as Shetty’s previous work, notable films like Singham and its sequel. 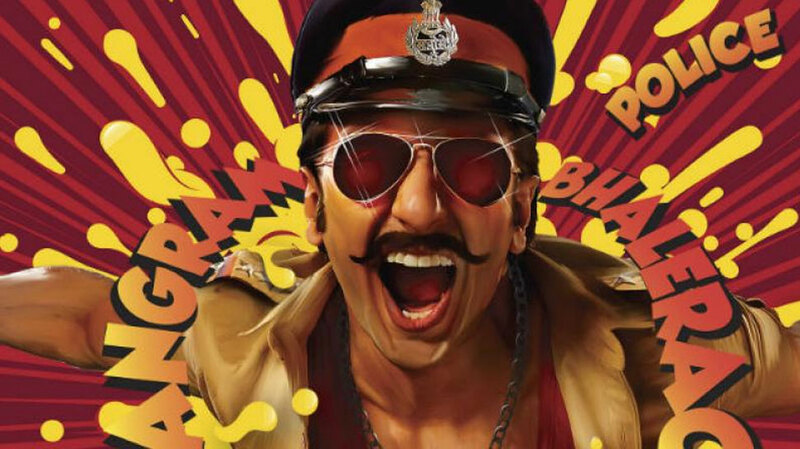 In Simmba, Ranveer plays a cop, named Sangram Bhalerao who is fuelled by his anger.